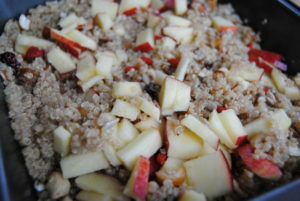 Quinoa for breakfast is a great option if you’d like a high energy, gluten free and dairy free option. This powerful grain has been around for thousands of years and is an excellent choice for breakfast. 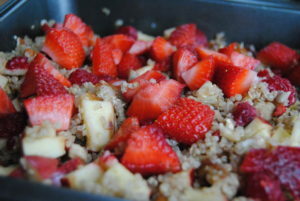 Quinoa is usually seen in breakfast and lunch dishes but can be used for breakfast if you cook it with the right spices. 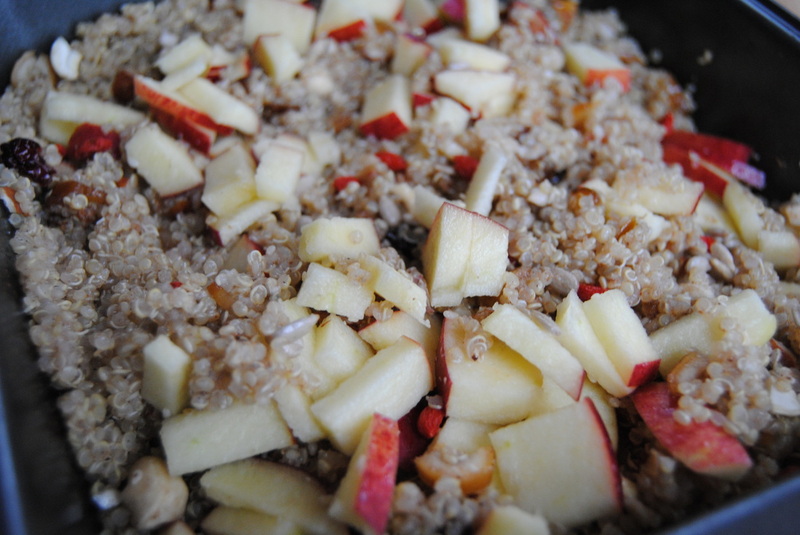 Cinnamon and nutmeg are great spices to cook with quinoa for breakfast. If you’re experiencing sugar cravings, cinnamon is great for stabilizing blood sugar levels. If you’re having quinoa for lunch or dinner, it’s nice to cook it with vegetable stock or other savory herbs. This will give it extra flavours and make it even more delicious in your meals. I had lots of strawberries and raspberries so I decided to put them in the dish as well. That’s the great thing about making your own breakfast – you can add in any ingredients you would like. As well, you’ll be guaranteed to have an all natural meal without any artificial ingredients or preservatives. 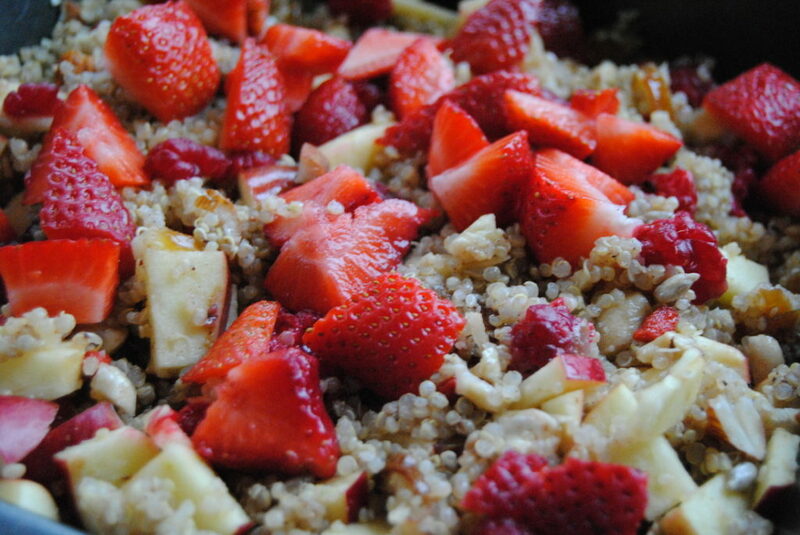 Soak quinoa for a few hours then rinse well. Cook with one part quinoa to 2 parts water. Add cinnamon and nutmeg while simmering. Add to a baking dish and stir in lots of coconut oil (around 3 to 6 tbsp), sesame seeds, cashews, almonds, sunflower seeds, dates, gogi berrries, craisins, apples and bake for 10 minutes. Add in strawberries and raspberries and stir. Raw honey can be added as an option. Top with coconut flakes.